Note: All events are FREE TO ATTEND unless otherwise mentioned! Starting at the Tourist Information Centre in Broad Street. Meet at 5.45 a.m. for a ride start at 5.45a.m. A gentle ride at (just past) dawn from the centre of the city through meadows and up tracks to a wonderful viewpoint of the dreaming spires. We have a celebratory breakfast when back down in the city and are ready to start the working day at 8am. You’ll be so glad you did it! Return by 8am. Some rough tracks, but suitable for beginners. Tandem Festival celebrates international culture, fosters cooperation and inspires change. Come along to join us for a 3-day escape on the border of the Cotswolds. Cycle-powered & volunteer-fuelled, Tandem Festival will give you the chance not only to spend a weekend adventuring in beautiful surroundings, but will transport you to different worlds through music, art, talks, workshops, film screenings and food that’s good for your soul and your taste buds as well as the planet. Sat. 9th 10a.m – 6p.m. Big Green Day Out Broad Street. Large event, not just cycling related. Several cycle stalls, with different bikes to try, but mainly other kindred spirits to cycling enthusiasts. Sun. 10th 9.45am: Cowley Road Condors Newbies ride. Meet outside Beeline Cycles on the Cowley Road, OX4 1XA, for an introduction to this cycle club. A gentle ride of about 25/30 miles, with a café pause near the middle. Not for absolute beginners, but road bike NOT needed for these introductory rides. We will start off along the canal towards the A44, then cut off to Yarnton before joining the A40 for a short stretch. We will then head off into the countryside along Cuckoo Lane. We’ll follow quiet country lanes to the Gardens where afternoon tea is available, then make our way home via Wilcote, North Leigh and the A40 cycle path. The ride is 26 miles in total and includes a few ups and downs. Bridewell Gardens do not charge an entry fee, but ask for a donation towards their valuable work helping people recover from mental illness by gardening. In homage to the Paris-Roubaix bike race we will be taking to the streets of Oxford to see how many stretches of cobbles we can find. Part of Oxford Bike Week, this short and occasionally bumpy ride will visit Jericho and many of the most famous landmarks of Oxfords city centre to savour just a taste of what the professional riders who take on the pavé of the spring classics have to endure. · Meet at the steps of the Weston Library on Broad Street at 6.15pm for a 6.30pm start. · Any bike will do and anyone who can ride a bike will be fine. · Anyone wishing to experience the Quarry-Roubaix in its entirety might like to meet at the Masons Arms in the Quarry at 5.30pm. In this evening stop & stare ride we will be looking at Oxford with 18th and 19th century eyes and exploring how two different artists (both William Turner) saw Oxford and its environs. We will be visiting 5 paintings by the “famous” Turner (JMW) and 2 by his less illustrious almost contemporary William Turner of Oxford. How have the views of Oxford changed? Are the paintings accurate depictions or have they been sprinkled with a bit of artistic licence? I’m sure there will be plenty of opinions and no “right” answers! In this ride, Isis Cyclists is embracing 21st century technology! The paintings are all available to view on your own personal electronic device of choice. I will bring them on my tablet, but the more people who have access to the images on their tablets or mobiles the better. I am attaching a compressed file containing all seven images to this email so you can bring them with you. Meet from 6.45pm for a prompt 7pm start from Radcliffe Square, Oxford (at the back of the University Church). The route will take us through central Oxford, out onto the river and then up to South Park Headington before descending into Marston and our final picture in Old Marston. After the ride we can coast down to the Victoria Arms for a drink. The route is 7.5 miles long and includes a single hill in the shape of Morrell Avenue which can we cycled (or walked) at your own pace. Please bring bicycle lights, especially if you want to enjoy a drink afterwards. The ride leader for this artistic exploration is Ellen Lee (ellen@133.me.uk). A slow ride, very suitable for beginners. Peter Thompson of Oxford Civic Society will lead us on a tour of about 18 interesting and important sculptures around the centre of Oxford. (On some stops there’s more than one to see, so less than 18 stops!) This ride proved very popular when last run about 4 years ago. Last about 2 hours. 6pm: A ten-mile traffic light-free ride along quiet ways in Oxford, starting outside TIC on Broad Street. Enjoy an updated traffic light-free ten-mile cycle route through Oxford taking in some quiet ways that we haven’t done before, in Marston, Headington and East Oxford. This is the first long ride in the build-up for our 50 mile ride in September. 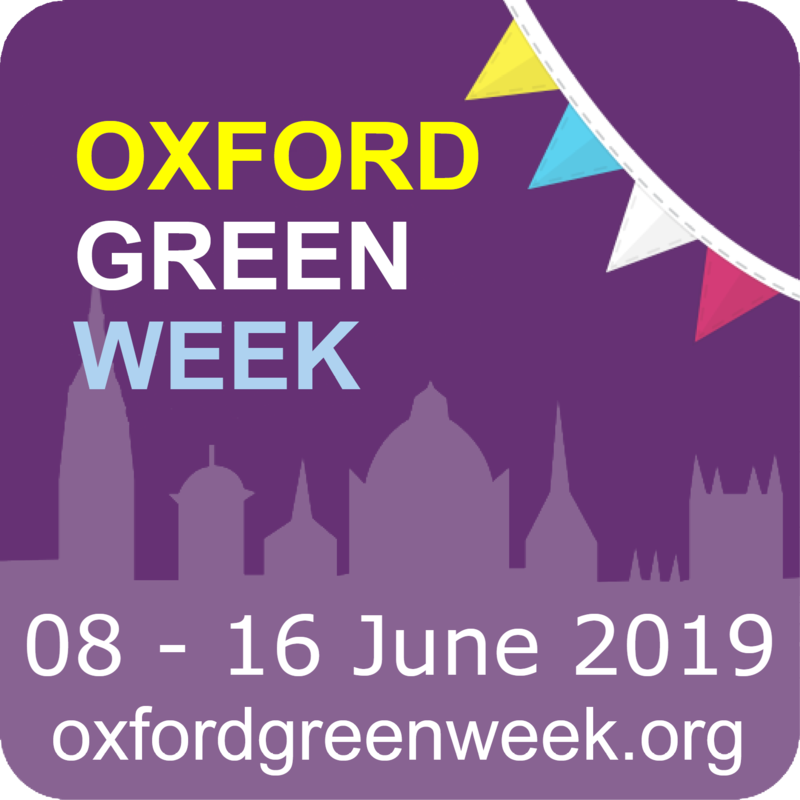 Meeting on the junction of Cowley Road and Magdalen Road (outside old bingo hall) at 9.45am for 10am departure, we will take Barracks Lane to get out of Oxford in a fairly traffic-free way. Our route will take us via Horspath, hill up to Cuddesdon and down to the mill, Great Milton and Chalgrove. There will probably be a short stretch on bridleway to get us to Brightwell Baldwin, and then we will continue close to Ewelme to Benson for refreshments in the Waterfront Cafe (17 miles). https://www.waterfrontcafe.co.uk/ We return through Berrick Salome, Chalgrove, Stadhampton (a short stretch on main road) Chislehampton, Denton, Garsington and Blackbird Leys/Cowley. The ride is 30 miles with some hills. The leader is Clare Farley. Meet at the Jackdaw Lane end of Meadow Lane. A gentle almost all off-road ride very suitable for children or adults. Exploring by bike all the green spaces along this Meadow Lane. • Long Bridges Nature Park where there will be cake! It’s the 10th Anniversary of the Westmill Wind and Solar Farm near Shivenham, and there’s a celebratory event to mark the occasion. Get to it in the most appropriate way with an approx. 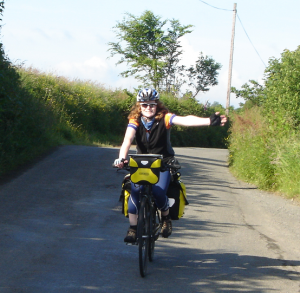 22 mile cycle ride there – and another 22 miles back of course! See here for further details and email ride leader Jonathan Darby on jonathan@jd.org for further details. The BIG event of Oxford Bike Week. A festival of all things cycling, aimed at new or reluctant cyclists, as well as the more experienced. Interested in cycling or starting cycling, even in Oxford’s traffic? Want to cycle with your family? Want to meet other people who love cycling, or want to get cycling again? – Best-dress bike competition with prizes!